Brad Garrett is getting animated. The R-rated project, which is targeted for cable, is based on characters created by Bill Kopp (“Eek! The Cat,” “Toonsylvania”) and follows the lives of the most popular cartoon duo in history after their fall from stardom. Garrett is attached to voice one of the two leads as well as executive produce the show through his banner, Mope Prods. Also exec producing are Glenn Robbins and Doug Wald; Kopp is on board as co-executive producer. Update: 8.14.2009 — A Voice Actors in the News EXCLUSIVE! Bill Kopp has graciously provided the “calling card” that he and Brad Garrett are using to pitch Dumb Bunny and Jackass to networks. 'Calling card' image courtesy of Bill Kopp. Bill says that he and Brad are pitching the show to three networks in the coming week, including FX and Comedy Central. Bill adds that he is doing some VO for the upcoming season of the FOX sitcom ‘Til Death (starring Brad Garrett), and that he recently wrapped production on 26 half-hour episodes of the American Greetings-sponsored Twisted Whiskers — a fully-produced TV show based on the popular greeting card line of amusingly exaggerated, pop-eyed pets. Unfortunately, American Greetings has been unsuccessful to date in securing a US distributor for this series. For a glimpse at what the show might have been, there are a series of nine computer-animated shorts available on TwistedWhiskers.com. And be sure to watch “Novel Kitty,” with Bill providing the voice of Flouncie. So far it looks like Brad is the Jackass and I will be voicing the Bunny. There is still a bit of [development] to do so we haven’t yet figured out the rest of the cast. We are aiming for Comedy Central. Bill has offered an opportunity to do an exclusive interview with him in the near future once more details have materialized. I’ve been following Bill’s career since the early 90’s and I’m absolutely ecstatic over this news. Bill’s one of those great talents who doesn’t get enough recognition for his contributions to the animation industry as an artist, animator, director, producer, writer, and voice actor. Besides creating/co-creating/producing several great animated comedies like Eek! The Cat/Eek!stravaganza, Snookums and Meat: Funny Cartoon Show, Toonsylvania, and Mad Jack the Pirate, he’s also voiced many characters on the same shows. I posted an (incomplete) chronology of his work back in 2001 for The Voice Actor Appreciation Group (and I’m happy to say I have since gotten in touch with Bill since that article was posted). More recently, Bill has worked for Warner Bros as director, writer, and voice actor on the direct-to-DVD releases of Tom and Jerry: The Fast and The Furry (2005) and Tom and Jerry Blast Off to Mars! (2005 — and the DVD includes behind-the-scenes footage featuring Bill), as well as the 2004 Looney Tunes short “Hare and Loathing in Las Vegas” which was intended to be released theatrically with Looney Tunes: Back in Action (but has since still not been released in the US that I know of). 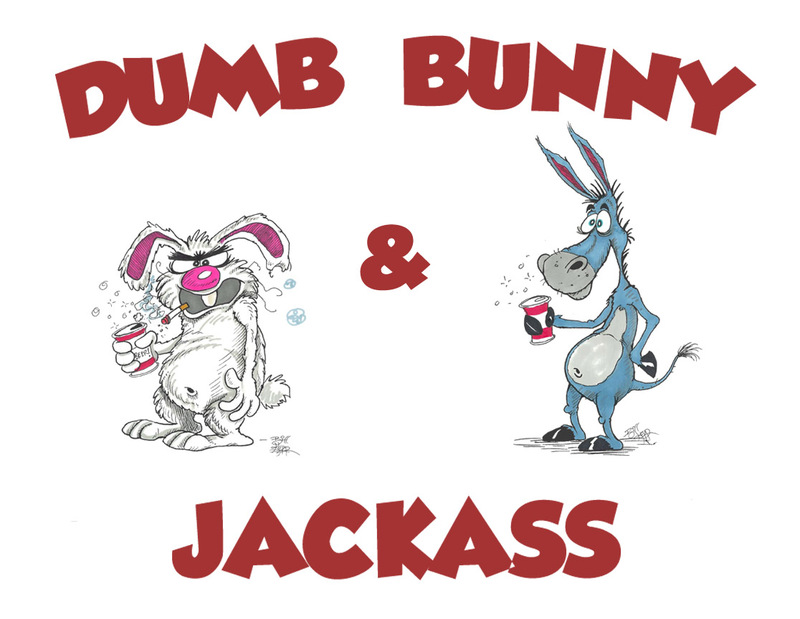 A hearty congratulations to Bill on getting Dumb Bunny and Jackass in development. Can’t wait to see it! This entry was posted on Tuesday, July 7th, 2009 at 1:32 PM and is filed under Celebrity Voices, Commentary/Op-Ed, Headlines, Media: Audio and Videos, VAs on DVD. You can follow any responses to this entry through the RSS 2.0 feed. Both comments and pings are currently closed.